Virtaperko’s five-star saxophone concerto is beautiful modernism. A rare event occurred at the Tampere Hall on Sunday: a chamber music concert was sold out, and it could not have occurred more opportunely. 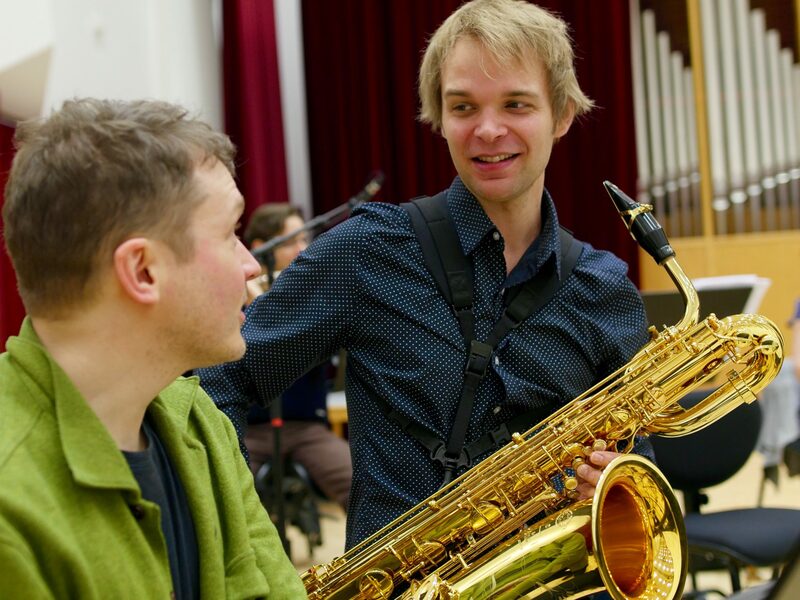 Olli Virtaperko’s new baritone saxophone concerto Multikolor deserved the biggest possible audience because it is one of the finest contemporary compositions in Finland in a long time. It is hard to describe Multikolor in words; its distinctive qualities originate so exclusively in music itself. Multikolor is emphatically meant to be heard and savored. This may sound like a truism, but it cannot always be taken for granted when contemporary music is concerned. The sonic form of Multikolor is bare and graphical. Its title notwithstanding, I would rather associate Multikolor with sonic light and its refined nuances than with traditional colorism. Virtaperko adjusts the amount of light like a photographer of music observing the world with new eyes. Multikolor is extremely dense music, and it is stylistically unified all the way through. Its coherence is underlined by the communicative relationship between the baritone saxophone and the 10-piece ensemble – the soloist Joonatan Rautiola and the TampereRaw ensemble under Tuomas Turriago. Multikolor is at its greatest when the soloist and ensemble overlap and interlace one with another with the baritone saxophone’s gently distorted multiphones being supported by the mystic rippling of the natural harmonics of the strings. The baritone saxophone sound masterfully created by Rautiola is never left alone; instead, it is constantly reinforced by the musical impulses it receives from the ensemble. I have never before heard anybody compose sounds like these! One of Multikolor‘s strengths is the ideally balanced relationship between its duration and material. The musical ideas created by the composer spring to life, blossom and die away elegantly. Multikolor is beautiful music. The intervals of the saxophone multiphonics create a relaxing and natural feel that is inviting, not off-putting. The music is predominantly slow and contemplative by its nature. Rather surprisingly, the mood won’t change even during the dynamically strong and seemingly rapid passages. The underlying quality of Multikolor remains subtle and meditative. Newspaper Aamulehti, 31 October 2016.